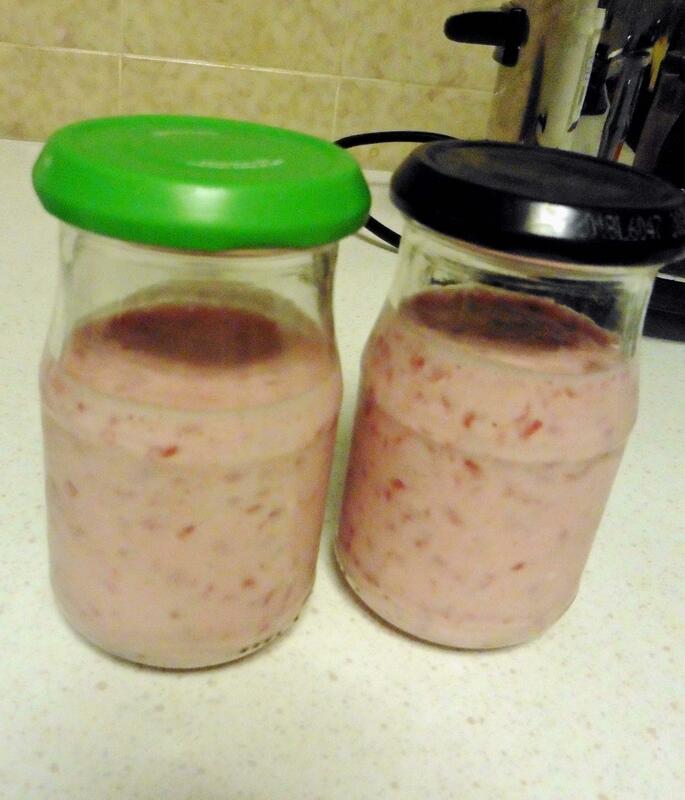 Pictures 5-11 show how to make strawberry yoghurt. 1 cup fresh fruit of choice. Here are a few examples of fruits that you can use; strawberries, raspberries, blueberries, pineapple, peach, pear, apple, banana, melon, mango, orange, Sharon fruit or persimmon, sapodilla or cheeku etc. 2 cups natural yoghurt (dahi) of choice. 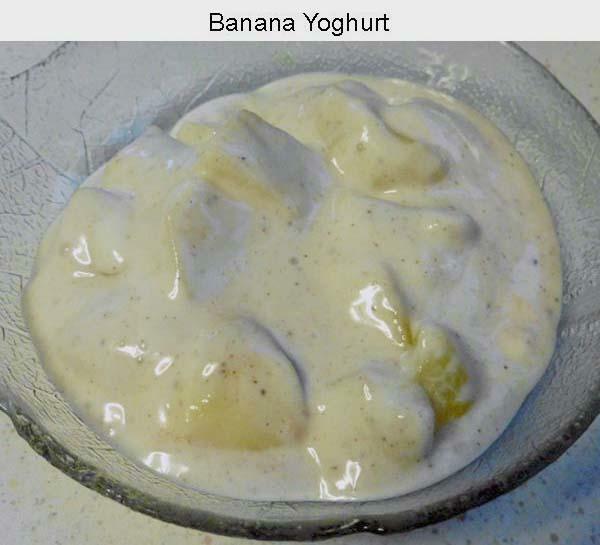 If using skimmed milk yoghurt, remove excess liquid by hanging it in thin muslin for 30 minutes or so. Optional flavouring like ground cardamoms, cinnamon, vanilla, saffron etc. Soft fruits like banana, pineapple, orange (remove pips), melon, mango, sapodilla/cheeku, can be used uncooked. If you wish, you can chop or mash them slightly using a spatula. It is better to peel apples/pears, though they can be used with skin intact. Chop into desired sized pieces. For oranges, remove pips and membranes. 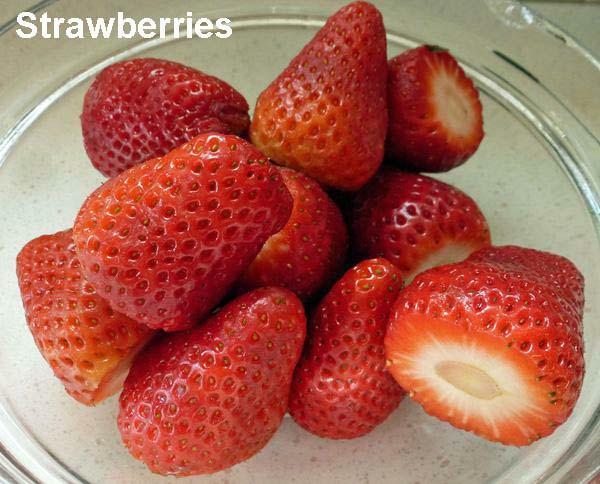 Fruits like apples, pears, peaches and berries like strawberries, taste better if softened. Microwave cook on full 2-5 minutes, I cook for 3 minutes. Check and then cook some more if required. If you do not have a microwave oven, cook them in a pan, with a couple of spoons of water, until a little soft but not mushy. If there is a lot of liquid, drain it off into a bowl and save. Keep softened fruit in another bowl and let it cool. 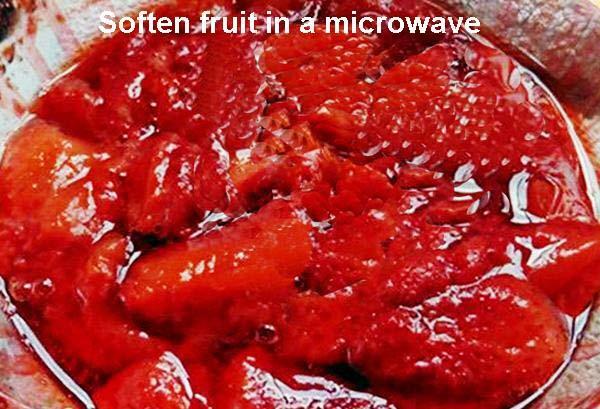 Place the drained liquid in a microwave proof bowl. Add and stir in the corn flour. Cook on full for 1-2 minutes, until thickened, stirring after 1 minute. 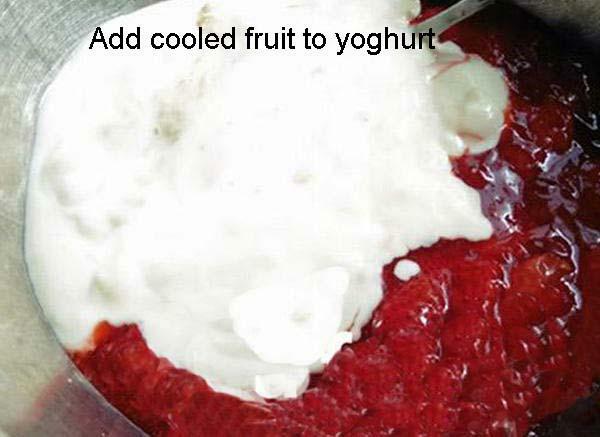 If you add the juice without thickening, it can make the yoghurt rather runny. 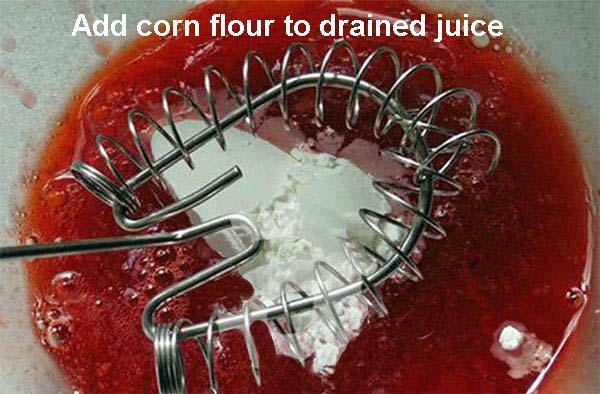 If you do not have a microwave, stir in the corn flour in the drained liquid/juice. 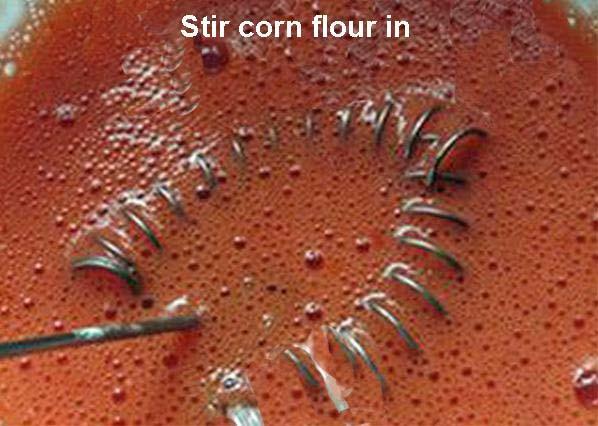 Stir in corn flour until smooth. Then cook it in a pan, stirring all the time, until thickened. 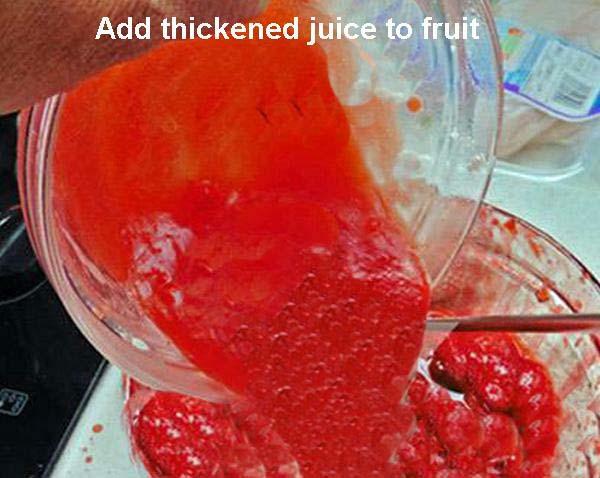 Add this thickened juice to the fruit. 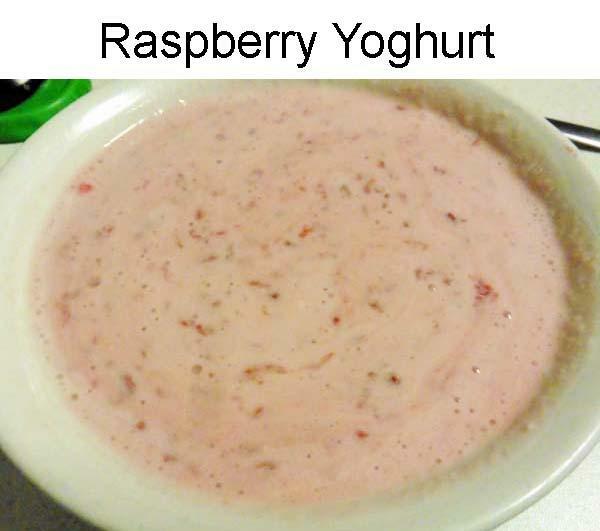 Place yoghurt and sugar/sweetener/honey in a bowl. Beat a little. 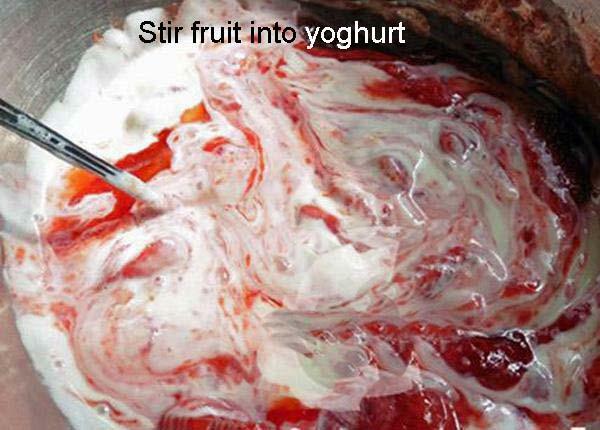 Add prepared fruit and fold it in gently. 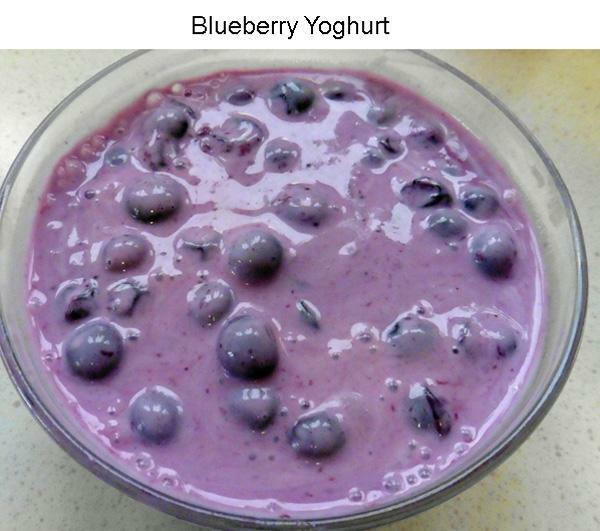 Transfer to serving bowl or yoghurt pots. 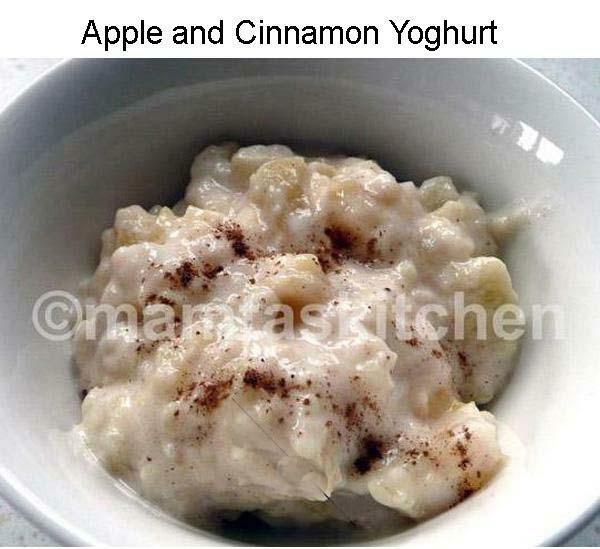 You can add a little cinnamon powder to the apple yoghurt. Experiment with other, natural flavourings.